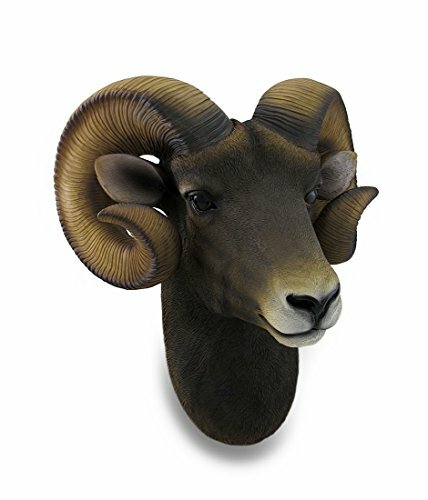 This animal friendly, cruelty free ram's head wall sculpture, with its unmistakable curved horns, is a perfect addition to rooms with a masculine them or a room in your own little corner of the world. This 15 inch high, 14 inch wide, 9.5 inch deep (38 X 36 X 24 cm) cast resin wall hanging beautifully mirrors these amazing animals known for their fleece, meat and milk. It boasts realistic detail and a life-life hand-painted finish, and is an amazing addition to any room or the office, and it's great as a gift any hunting fan or nature lover is sure to admire!